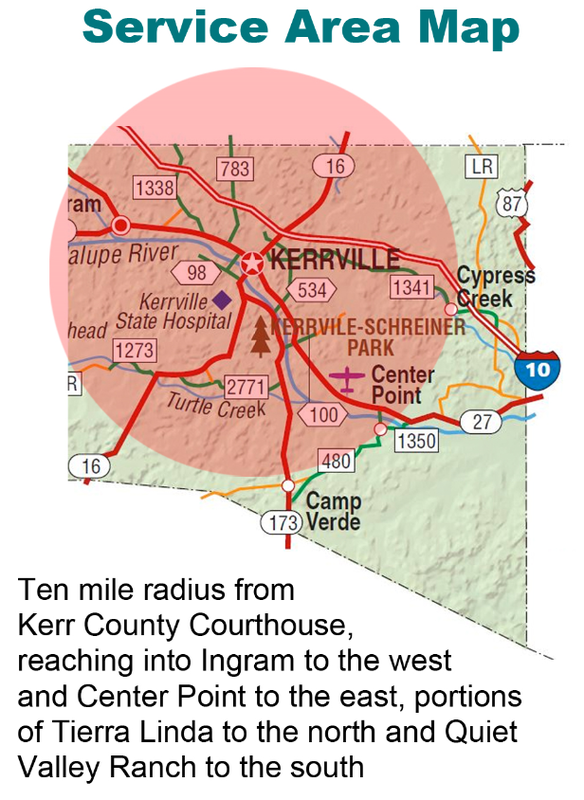 Kerr♦Konnect provides services to residents within a 10 mile radius of the Kerr County Courthouse. Let us help you get to the doctors, grocery store, or any other errands that you may have. Click below to see or download a comprehensive map of the service area. This map is a high resolution map that you can zoom in and out to see more detail.